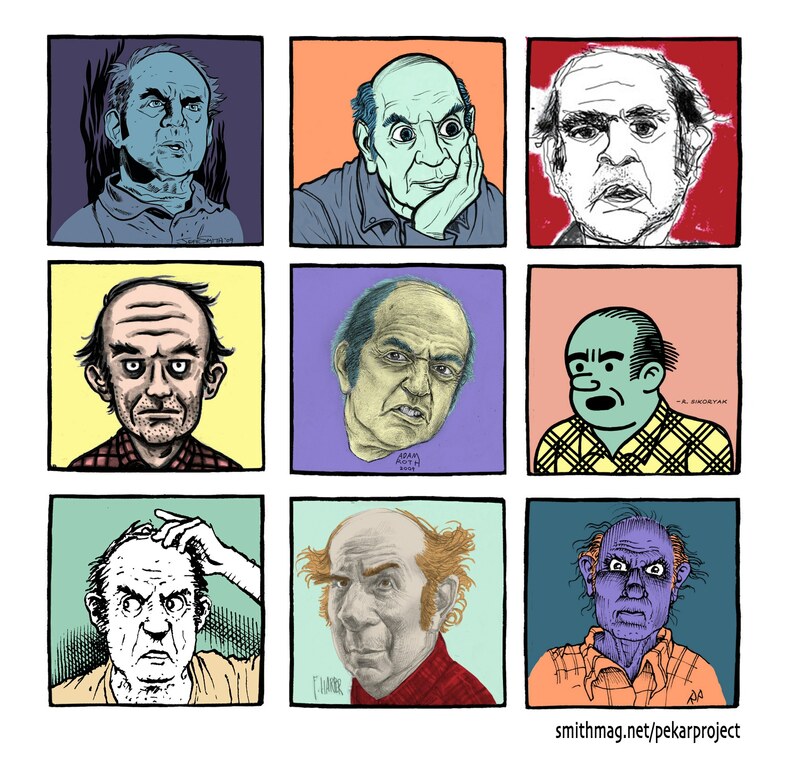 When we created the “Harvey Heads” T-shirt drawn from the 120+ portraits that an incredible collection of artists/Harvey enthusiasts made as a surprise for the late Harvey Pekar’s 70th birthday, we knew it was cool, but had no intention for it to be a collector’s item. Now with Harvey’s passing wearing the T-shirt takes on a new meaning (and every time I wear it, it sparks a conversation about Pekar with a stranger; a lovely thing). This weekend Spreadshirt is offering free shipping for its partner shops such as SMITH (on the Pekar shirt, a Six-Word Memoir shirt, or any SMITH apparel), so I thought it would be a good time to let everyone know about the Pekar tee again. It’s wearable tribute to a master storyteller, one we miss an awful lot. Use these coupon codes when you checkout: FREEWEEKEND (U.S.), CADFREEWEEKEND (Canada). You can order your Pekar tee or hoodie here. 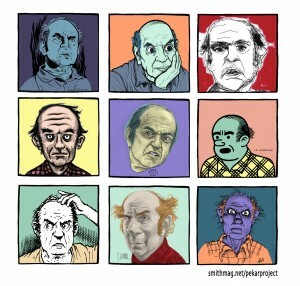 For more on the making of the Harvey Heads (spearheaded by Pekar Project editor, Jeff Newelt), and a list of the nine artists who contributed to the T-shirt, read an earlier post. Above: a postcard I received from artist Rick Reilly. Rick’s Pekar tee had just arrived and he was moved to record that moment in the best way he knows how. Great Post, I deffinatly one to watch out for and its Looking good!